A pig veterinary organisation has adopted the European Medicines Agency's (EMA) list of 'critically important antibiotics' to help farmers reduce use of certain antibiotics, namely fluoroquinolones, 3rd and 4th generation cephalosporins and colistin. 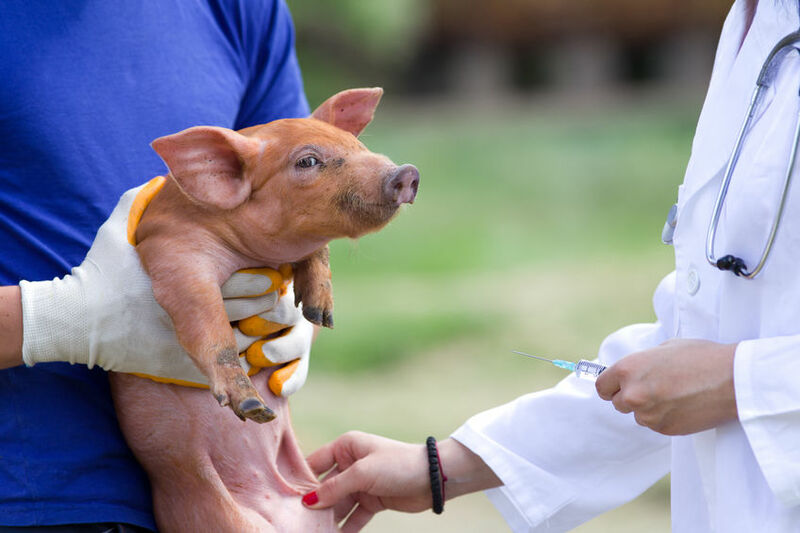 The announcement, by the Pig Veterinary Society (PVS), means that under guidelines, fluoroquinolones, 3rd and 4th generation cephalosporins and colistin will retain Class 3 status. This means they are only used when no other options are available and when supported by laboratory sensitivity testing – or exceptionally when all other options have failed. Class 1 antibiotics form the standard prescribing list within responsible use guidelines and Class 2 are used only when sensitivity tests or clinical experience proves standard antibiotics are not effective. In all treatment decisions the health and welfare of the pigs must always take priority. Betalactams with betalactamase inhibitors (clavulanic acid) were previously in the highest priority Class 3 but in light of the list defined by the EMA, which has been adopted by the Veterinary Medicines Directorate as well as RUMA, the PVS has reassessed the risk and moved them to Class 2 to align them with plain betalactams. This means they are still subject to voluntary restrictions, but their use would not necessarily be only as a last resort. PVS president Mark White explains despite the ongoing review process and the potential to reclassify certain products, the Society’s underlying principles remain unchanged. “The total amount of all antibiotics used on pig farms to treat and prevent disease should be minimised, and the types of antibiotics used in pigs should be considered in light of the implications for antibiotic resistance challenges in both pigs and man,” he says. “This policy is proving successful with AHDB Pork’s electronic pig medicine book (e-MB) recently showing that use of colistin appears to have fallen by over 70% in 2016 following its move to a Class 3 antibiotic in late 2015.